A while back, there was a television program that used hypnotism as a medium to tell a person about his past life. Every person has a different perception about Previous Births or Past Life. Some believe in Previous Births and some don’t. This post is for those who want to know past life through astrology. 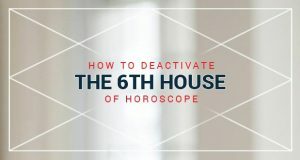 The First House (Primary Bhava, Ascendant) in your Kundali, (horoscope) also known as Lagna or Ascendant, can tell whether your deeds in the previous life were right or wrong. Your deeds accumulated from the last life are evaluated by Ascendant. If there is an auspicious planet present in your Ascendant then no doubt that you did many right things in your last life, as a result of which the planets in your Ascendant in this life too makes you generous and religious. If Mars, Saturn, Rahu, Ketu are present in Ascendant or if more than one of these planets are present, negative effects comes out. In this way we evaluate people based on their Kundli. For people who are true and pure from the heart, there is often Jupiter present in their Ascendant. And those who lie, and are not true to others or have a wrong behavior towards others often have Rahu present in their Ascendant.